The ThinkCentre Tiny in One 24 is a light, slim monitor that comfortably manages your workspace. 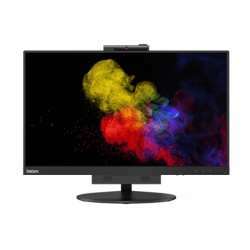 Equipped with LED panel, lift and tilt stand and DisplayPort connectivity, this monitor delivers reliable performance at an affordable price. It also supports Tiny PC. The ThinkCentre has 23.8inch LED backlit LCD panel 1920 resolution 1080p Camera Dual MIC Array DP connection Support Lenovo Tiny PC Digital Controls with 8 language OSD Support mode for different aspect Energy Star 7.0, EPEAT Gold, China Energy Label Tier 1, EU RoHS, China RoHS, Turkey RoHS, Ukraine RoHS.